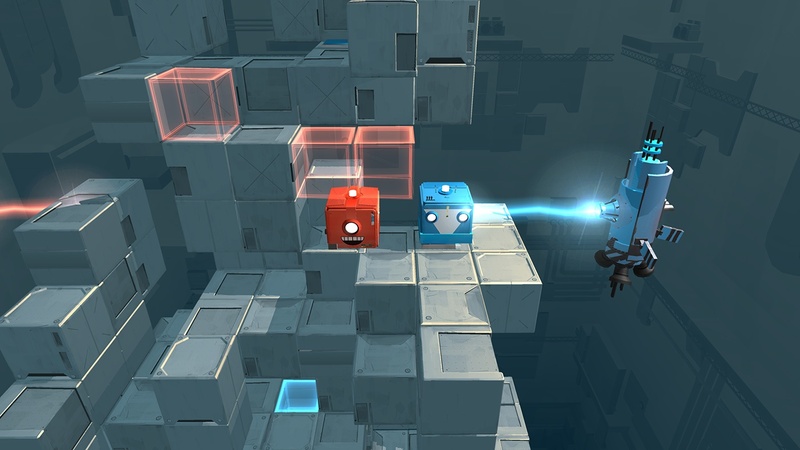 SMG Studio's Death Squared made the rounds for consoles and PC back in the beginning of 2017, and it was well received. Today it has released on the Play Store, which means Android users can finally see what all the fuss was about. There is no doubt that this is a well thought-out puzzle game that includes both a single-player and co-op experience for its main campaign, but the question remains, is it a good port? The mechanics of Death Squared are rather straightforward. You must move a red and a blue robot block so that they are eventually placed on the matching circles found in each stage. As a single player, you will have to juggle moving both bots so that neither of them falls off of the stage as you try to wrangle them onto those circles. 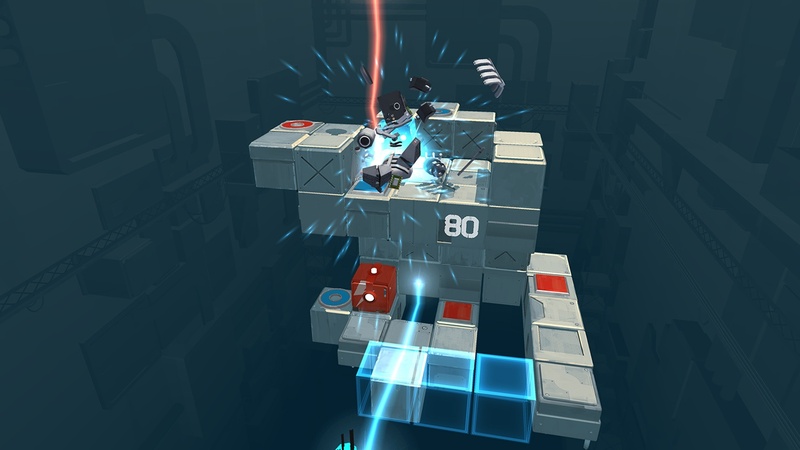 But as a co-op game, you will only control one bot, while a friend controls the other (on the same device), which should result in plenty of hijinks as you both try to coordinate appropriately while sharing the screen. There are a few graphical choices in the main settings that range from low to high, so no matter how powerful your device, there should be a setting that gets this release running well for you. Playing it on high settings on my GS8+ has been smooth with no graphical hitches to be seen, and the touchscreen controls work great. The thing is, whether or not you will find this Android release to be a solid port heavily relies on how you plan on playing. If you are going to use a touchscreen device such as a phone or tablet, it works wonderfully for both single-player and co-op. But the Shield TV support is another story unless you happen to own two controllers. You see, there is no way to play through the game on your Shield TV by yourself. The first-player controller doesn't work with the second bot, and there are no settings in the game to change this. So it would appear that a second controller is necessary for the Shield TV, which seems odd since you can play through the entire thing as a single player on a touchscreen device. I also couldn't help but notice that a corded HID controller connected over USB OTG doesn't work on my GS8+ or OP5T. Luckily the Play Store listing states that the game has been optimized for Bluetooth controllers, which is great for those of you who prefer to play untethered. It is also worth noting that Death Squared is a premium release. This means you can grab the entire game for $5.49 upfront without having to worry about any advertisements or in-app purchases. Google Play Games Services are supported through an auto-sign in system and achievements. But sadly cloud saving is absent, which is very disappointing. 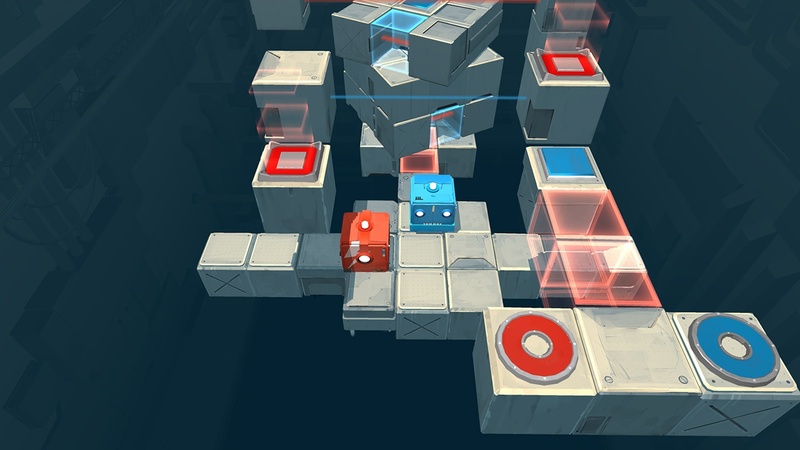 Short of the missing cloud save system and the odd choice of controller support for both touchscreen devices and the Shield TV, Death Squared is an enjoyable single-player and co-op puzzling experience. The graphics are pleasant, the touchscreen controls work great, and the puzzles are challenging. This is a polished port that should work well for most people, and while the release isn't perfect, what is there is plenty good enough for the asking price.